~ A seriously informative and fun nail site for professionals and the everyday gal! I heard whispering’s about this lotion while I was at Cosmoprof and I am SO happy that it is finally available!!!!! The fine folks as Famous Names Products have take all the good from Dadi’Oil (including three certified organic oils- Avocado, Olive and Jojoba- to plasticize, moisturize, and soften. 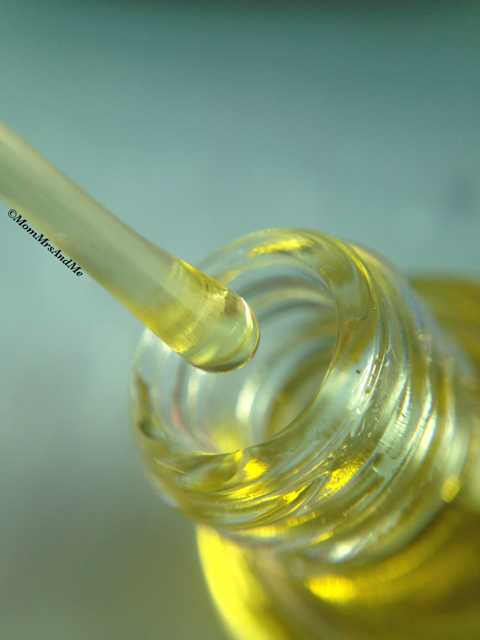 We’ve also added Natural Vitamin E which is a powerful anti-oxidant. Plus, our aromatic blend of 21 essential oils smells fresh ,therapeutic, and rejuvenating!) and blended them into a non greasy lotion to add moisture with the benefits of Dadi’Oil! 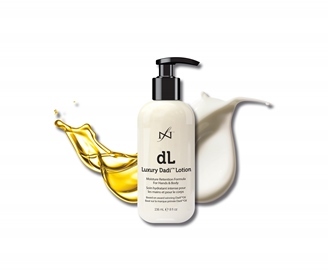 It is vegan and does not contain sulfates or parabens! Available in 2 oz travel size (great Christmas gifts btw), 8 oz pump bottle and 32 oz professional pump size. 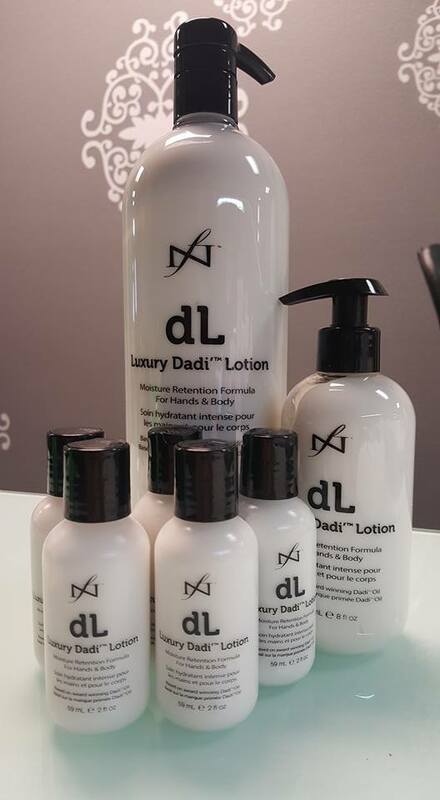 You can log on as a pro here http://www.famousnamesproducts.com/Shop/Luxury-Dadi-Lotion to order yours!!! Yeah for us and our silky soft, wonderful smelling skin! 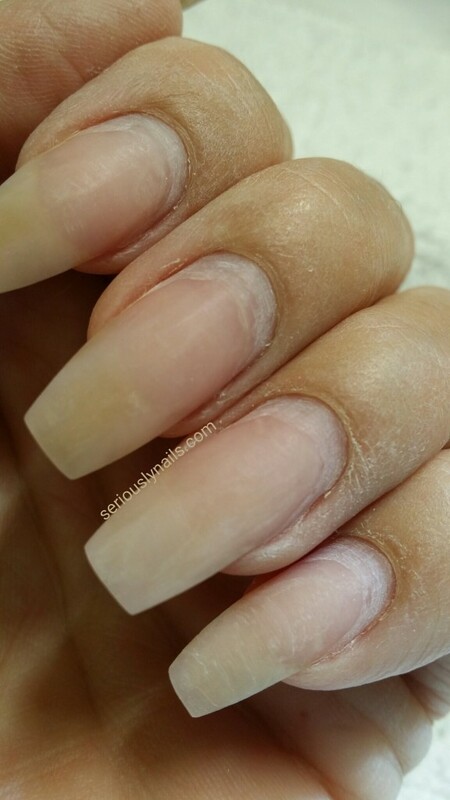 Posted by SeriouslyNails in Industry News! 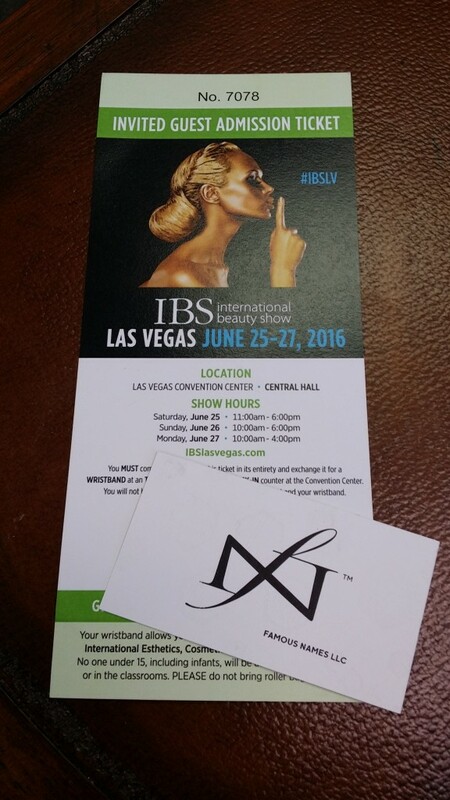 This is very exciting news I found out while I was working my way through the show at IBS Las Vegas this last weekend. she mentioned that the new “Dadi’Oil lotion” was very close to being completed and that we could look forward to seeing it on shelves late August, early September. If you know me at all, you know this is my favorite oil and I couldn’t be more excited to have a hand and body lotion to accompany it. Every one loves a Sale! We all have favorite things, and one of mine is Daddi’Oil from IBX Famous Names. And everybody loves a sale right? Well, I get two things I love for this post. 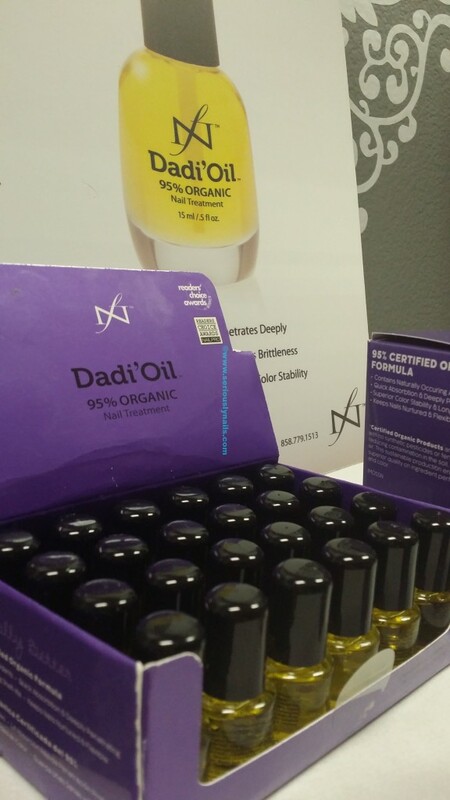 Daddi’Oil On Sale! Yup! 20% off. Go to http://www.famousnamesproducts.com/Shop/Dadi-Oil to cash in on this great deal. 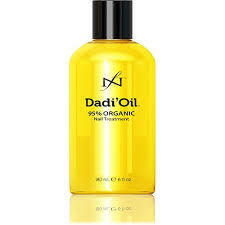 Never heard of Dadi’Oil, read about it here! Congratulations to Las Vegas based Famous Names! 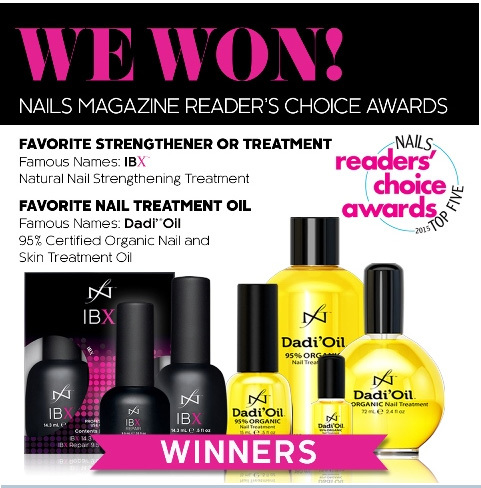 They won Nails Magazine Readers Choice awards. For not one but TWO of their products. FAVORITE STRENGTHENER – IBX Natural Nail Strengthening Treatment! Yeah!!! Big Congratulations to the Famous Names Family….to your continued success! I so super happy to receive this is in the mail the other day. Linda from Famous Names sent me a full size bottle of their new nail surface sanitizer. 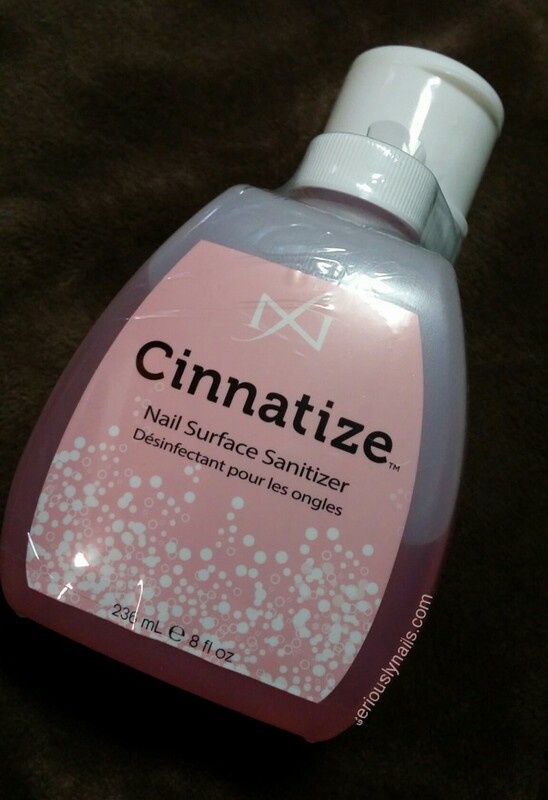 The reason I was excited was the fact that this nail plate sanitizer doesn’t smell like any other I have come across. 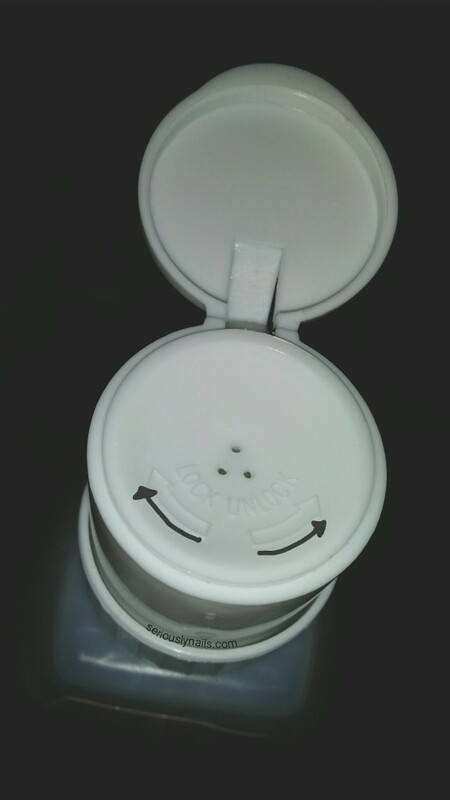 The other thing that made me happy was that the pump lid has a open and closed option. Makes it perfect for travelling for work! 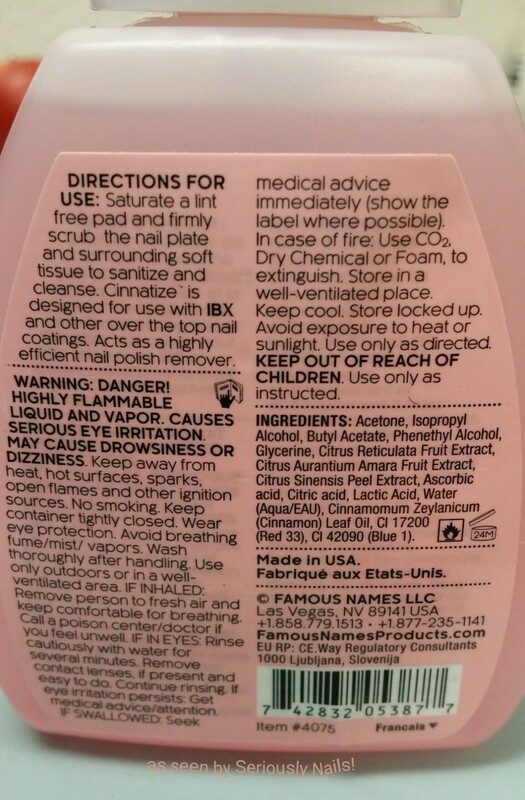 And as you can see, Cinnatize uses cinnamon extract as part of its sanitizing ingredients. As well as citrus fruit extracts. And as you can see it does a darn fine job of cleaning the nail plate. So, all in all, a winner in my books. 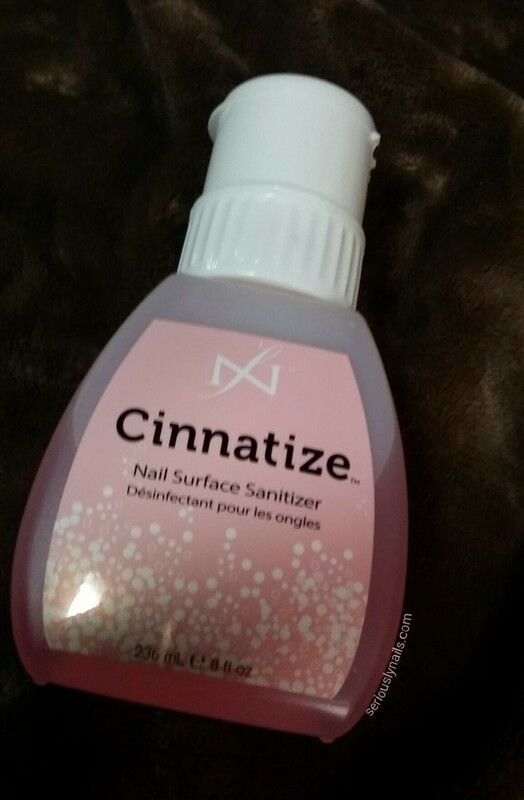 Cinnatize does a premium job of cleaning your nail plate AND has a fabulous scent. so nice to have in your salon setting. I got a very exciting email from our friends at IBX (Famous Names) the other day. 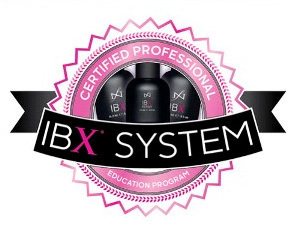 IBX will now be available at Salon Centric stores! Yeah! I am so happy that we will be able to acquire it more easily. I don’t know about you but I have the habit of going out every couple of weeks and gathering the supplies that I need for the next bit. I always forget to order my online products in time, so this make me SUPER HAPPY! I sure hope they will also carry the ooooohhh so good and effective Dadi’Oil too! Looking for a post you really liked? Stephanie on Sparkly things for AZ Nail Techs!